CG Says: The 2019 Chevrolet Equinox gains a few features. Adaptive cruise control and front pedestrian braking are newly available. The control screen is updated with Chevrolet’s new Infotainment 3 system and the available 360-degree camera is now HD. 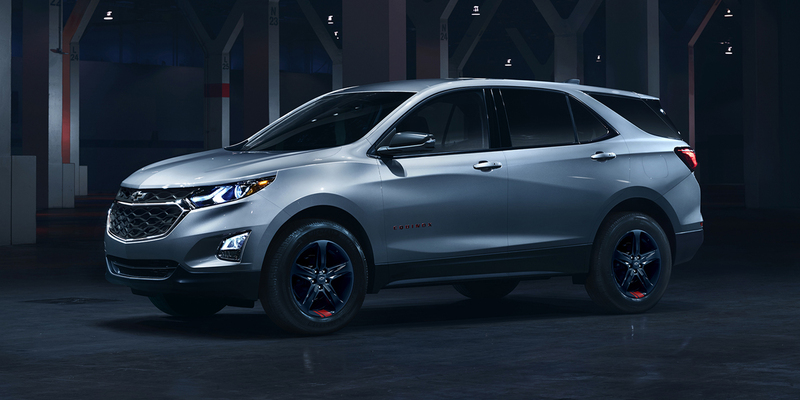 The Chevrolet Equinox was redesigned and downsized for 2018. The new Equinox is about four inches shorter and around 400 pounds lighter than the previous generation, which moved it from our midsize SUV class to the compact SUV category—where it competes more directly against rivals such as the Honda CR-V and Toyota RAV-4. Equinox’s larger sibling, the Chevrolet Traverse, got a bit larger for 2018. Later in the 2019 model year, a new Chevrolet Blazer will slot between the Equinox and Traverse. The Equinox has three engine choices. The base powertrain is a 170-horsepower turbocharged 1.5-liter four-cylinder mated to a 6-speed automatic transmission. Also available are a 252-hp 2.0-liter turbo four and a 136-hp 1.6-liter turbodiesel four, both of which are paired with a 9-speed automatic. All Equinoxes are available with front-wheel drive, and all models but the base L are offered with all-wheel drive. Available safety features include forward-collision alert, low-speed automatic braking, lane-keep assist, blind-spot alert, rear cross traffic alert, and GM’s Teen Driver monitoring feature. A hands-free power liftgate, heated steering wheel, heated and ventilated front seats, heated rear seats, and automatic high beams are among the available comfort and convenience features. The previous-generation Equinox straddled the line between the compact and midsize SUV classes. The new Equinox’s downsized dimensions and smaller engines provide better fuel economy and a bit more tractability, and passenger and cargo room aren’t seriously compromised. The base 1.5-liter 4-cylinder engine delivers only mediocre off-the-line acceleration, but the 2.0-liter engine has lively performance.